I am a member of The Delphic Fraternity, Inc., also known as Delphic of Gamma Sigma Tau. Every March my fraternity has a reunion in the small college town of New Paltz, NY. I’m looking forward to this year’s event, which celebrates the 27th anniversary of the organization’s re-establishment. The fraternity officially becomes 143 years old in October. I am the self-proclaimed historian of my era for the fraternity and manage a site called the Delphic Fraternity History Homepage. As I prepare to join my follow fraternity members to recognize the organization, discuss business, catch up with old friends, and connect with my Ala mater, the communicator in me can’t help but promote my fraternity via a social media shout out. I was blessed to attend college and joining a fraternity was one of the best college-related decisions I’ve ever made. I knew when I joined the fraternity it would be a life-long commitment and I look forward to continuing to represent it the best way I can. D E L – P H I ! Thank you Phil and the rest of the active brothers who keep the Delphic Flame alive. 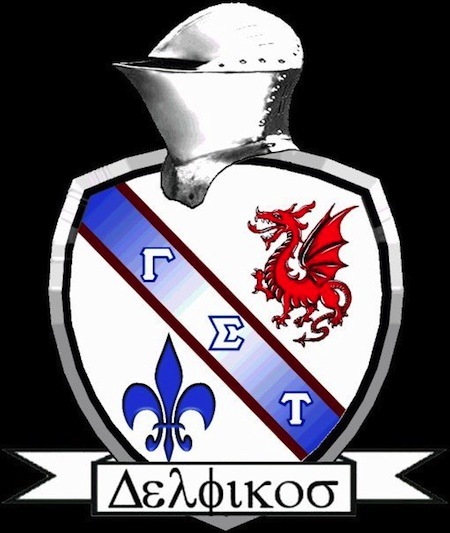 I feel blessed to be part of such a terrific fraternity and as my oldest and only son goes off to college this year, I hope he can experience joing a fraternity like I did when I went. Being a re-establishing brother is one of the greatest experiences that I could remember as a college student. For those who think and say joining a fraternity is a waste of time or it doesn’t make you studious, all I can say is the life lessons I have learned being with my fraternity is why most, if not all of us brothers are leaders today. For all the new pledges out there; be strong, be resilient and most of all, enjoy the journey. To all my fraternity brothers, thank you for continuing the journey and may all Delphics continue to enjoy the journey. I just turned 47 and I still look forward to the Delphic Weekend every year! They will have to burry a fish bowl drink and my paddle when I’m finally in the grave. Till then, let the merriment start again in New Paltz. I love Delphic Weekend!!! Thanks, Gil. I appreciate the kind words. Thank you for being a re-establishing Delphic Brother. The dedication you put towards that goal and your continued dedication to the fraternity is amazing!